Hey Lovelies! Boy did Thanksgiving week fly by. 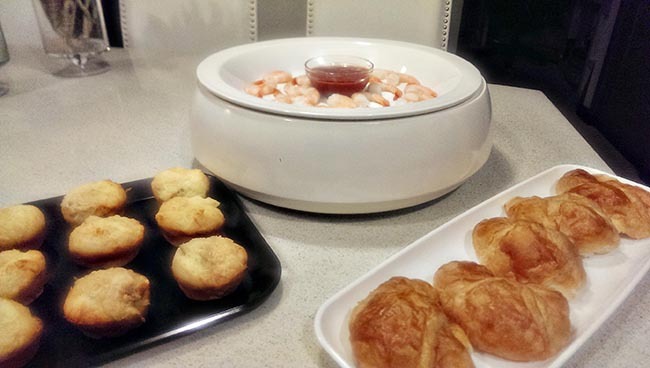 We had a magnificent Thanksgiving with the help of Vidacasa Buffetware this year. Vidacasa is dedicated to freshness and they have these really neat hot and cold serving ware that ether have a super cold cell or a thermal one inside of them. They are gorgeous and the outside and a super power on the inside! There is no better way to keep your food hot or cold while serving it so beautifully. It really does keep food fresh, especially if it is cold, like the we used for our shrimp on our Thanksgiving buffer this year. 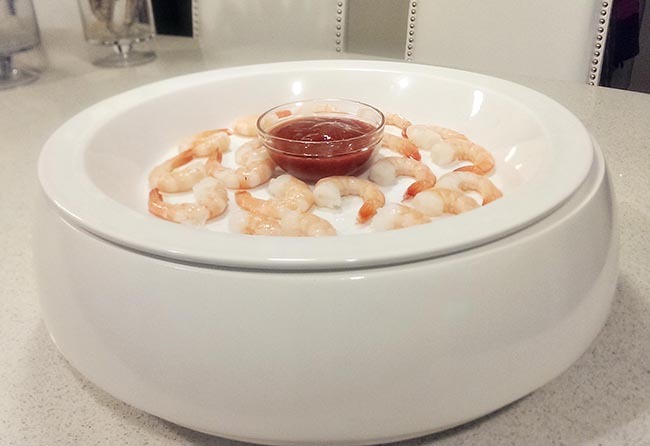 We had a gorgeous cold cell white circular serving dish that our shrimp and cocktail sauce looked amazing in. And it keeps them cold for hours. You can learn all about how cool they are here. They have all sorts of styles though for hot and cold ones though. Some are stainless steel, some are square, some are rectangular. They are all modernly designed and totally functional. You can’t get better than that! Buffets will forever be changed with these hot and cold element serving ware. You’ll have to try it for yourself! 10 Lovely Thanksgiving Drinks! Yippie! Free Thanksgiving Printables! Branching Out Into Thanksgiving Centerpieces! Inspiring Thanksgiving Place Settings!